Weekly community focused events, private dinners, farmer stand, gallery space and more! Other than serving great food and coffee, our vision for Mottley Kitchen is to provide a community space that our neighbors can come to relax, connect, learn and celebrate together. Through our event series, we hope to do just that. Check back often as we update our event offerings throughout the year. Want to host a private event at Mottley Kitchen? let's talk about it! Do to the new hours of operation Private Events are limited to Sunday evenings or Large all day rentals in excess of $2,000. Thank you. Thank you! We’ll be in touch shortly to help you set up your event. The Bronx has 1.4 million residents, 600,000 kids under the age of 18, and 0 specialty bookstores for children and teens. 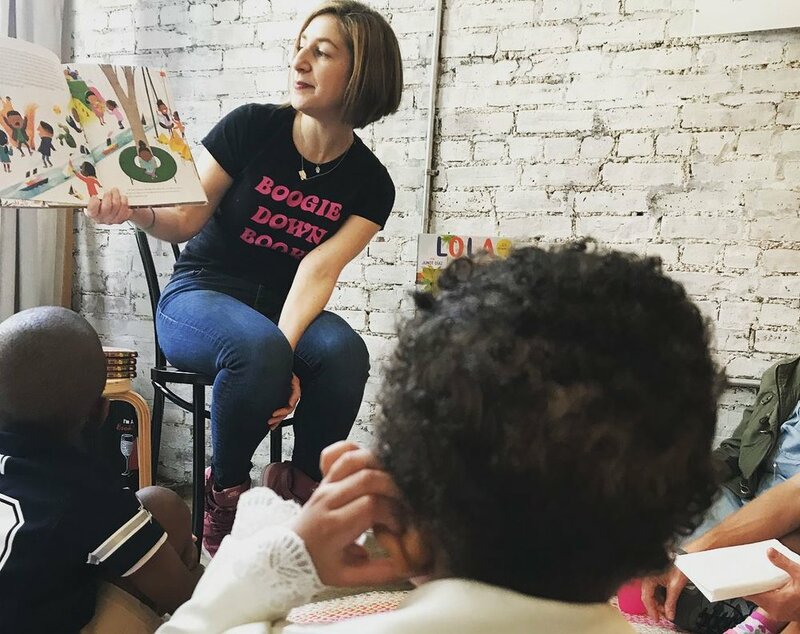 Rebekah Shoaf is out to change that with her company Boogie Down Books, which hosts a pop-up bookshop and weekly book readings every Saturday at 10 am with a focus on children, teens and their educators and caretakers. Bring the kids, grab a pastry and hot chocolate, and settle in as Rebekah reads from hand selected books. You can also browse and purchase books from her pop-up display at the Mottley Kitchen merchandise table. Stay tuned to our instagram for other specialty events like author events, workshops, and literacy initiatives hosted at Mottley. Swing by Mottley every Saturday for farm fresh products brought to you from a nearby New York farm. Farmer George of General Cochran Farm provides affordable, nutritious organic foods from their family farm in Wassaic, New York. Come grab fresh milks, yogurts, ice cream, meats, eggs, in-season vegetables, sauces, syrups and much more.